Celebrating Halloween Safely with Dogs! 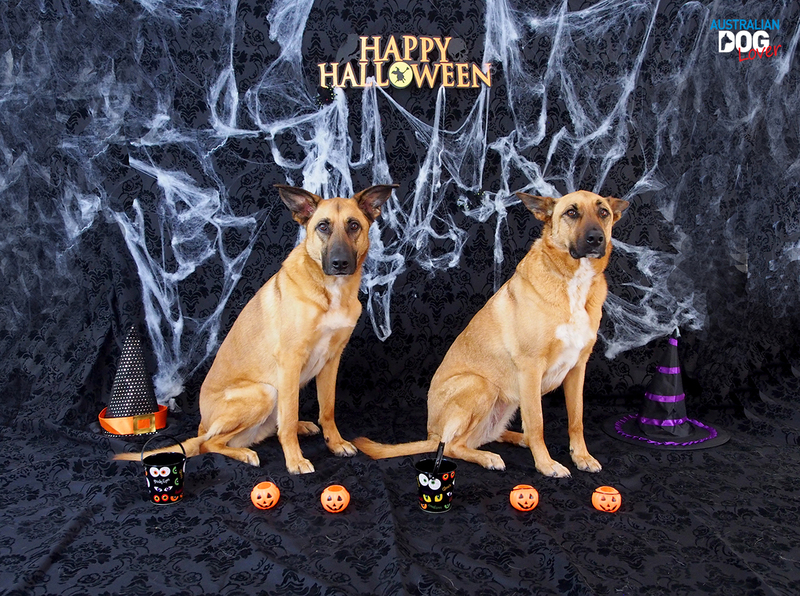 How enjoyable is Halloween night for your dogs is debatable but it's certainly gained in popularity with one in five Australians expected to celebrate this year! 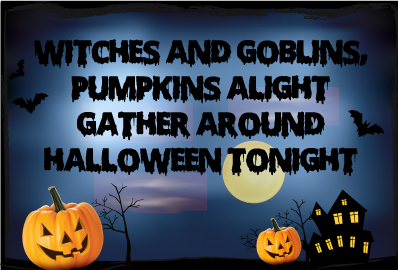 If you just want a bit of harmless fun, we gathered thirteen of our favourite spooky themed accessories and treats to celebrate Halloween with your pooches! If you have kids and plan on trick-or-treating that night, beware the candy, sweets and chocolate lying around that could poison your pets! Always make sure your dog is wearing an ID tag as someone may forget to close the gate or the front door properly! And if you're into decorating the house, keep all decorations, electrical cords, spider webs and streamers well out of reach from your dogs as these are choking hazards or they may end up with an intestinal blockage. 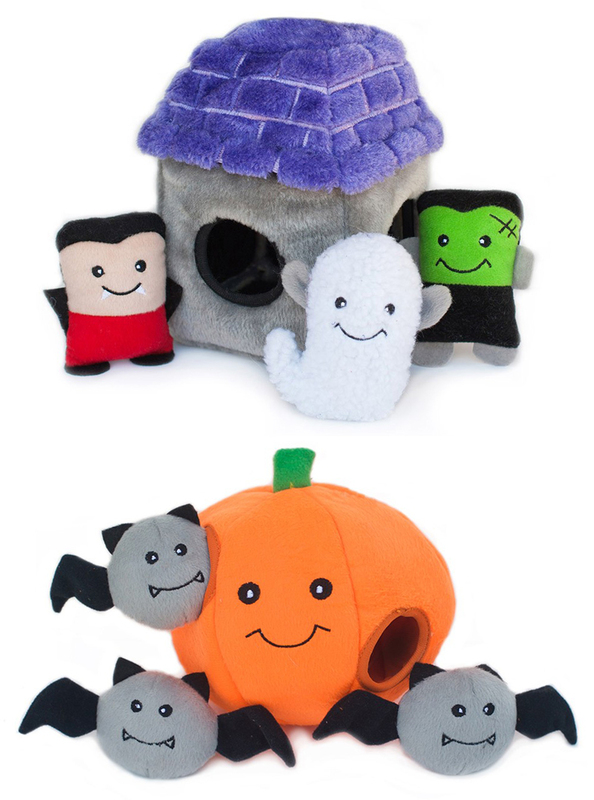 This is the Halloween edition of the classic ZippyPaws Burrow toy. This model comes with three squeaky characters (or critters) that love to hide inside the burrow and play hide-and-seek with your dog! Once the toys are placed inside the Haunted House (with Dracula, Ghost and Frankenstein's Monster) or Pumpkin (with 3 Bats), give the burrow a little squeeze to make the toys squeak: this will entice your dogs to pull out their play pals. These toys is best suited to small/medium dogs and moderate chewers if the kids don't steal them first! 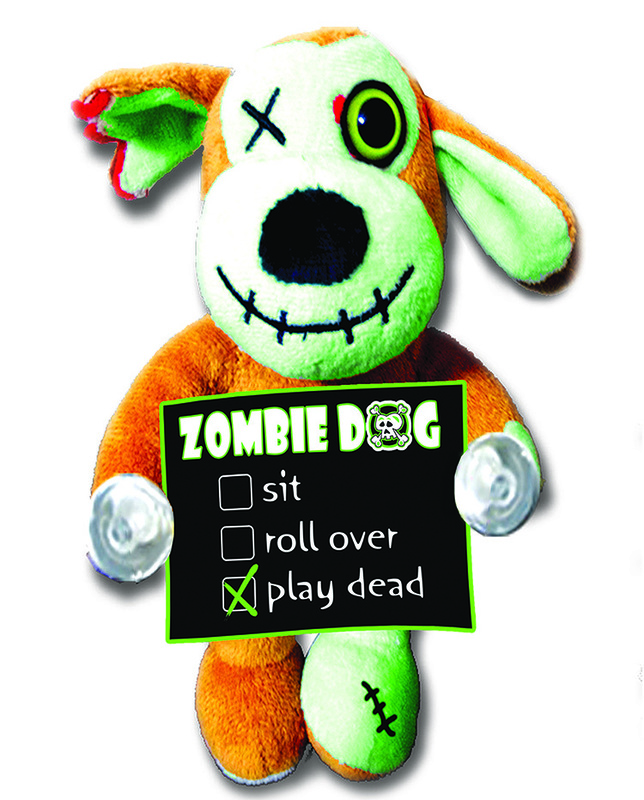 This Zombie Dog plush toy is cute yet scary and perfect to celebrate Halloween. He holds a humorous sign (your dog might not get the joke though..) that will attach to any window, using the suction cups sewn onto its hands. 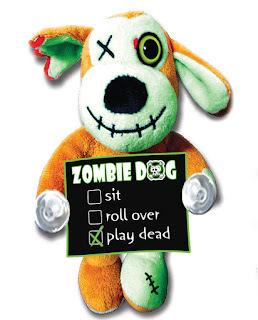 This high-quality stuffed animal makes the perfect gift for zombie lovers of all ages! If your dog enjoys a good game of tug, these Monster Rope Tuggers are a great addition to the toy box just in time for Halloween! 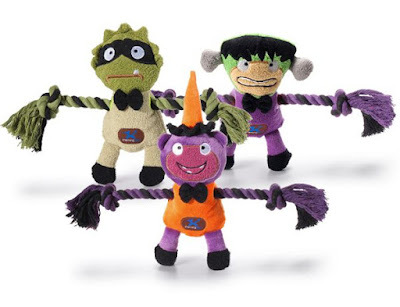 All three characters (Frankenmonster, The Lone Monster and our personal favourite - The Wicked Witch) feature pull-through rope arms and a squeaker inside. These are small (8.5cm x 12cm x 2.5cm) and not suitable for strong chewers. 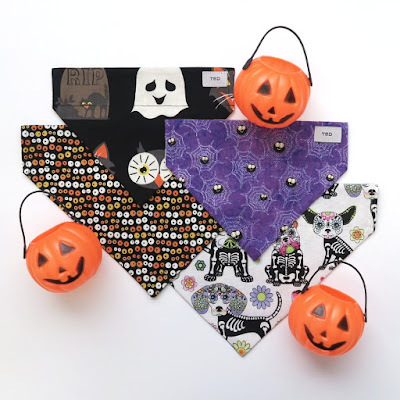 Halloween themed bandanas are perfect for dogs who want to get in on the action but either don't like wearing costumes or it could just be too hot on the day! 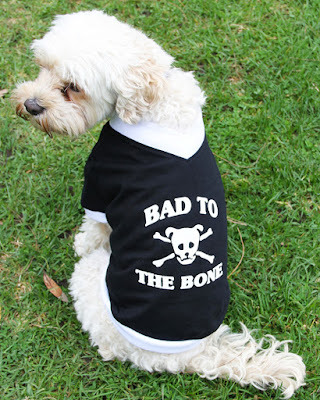 These very funky Halloween designs are brought to you by Perth-based The Sartorial Dog. Both dog bandanas are reversible and you can choose from either the Haunted House / Eye See You (these glow in the dark!) pairing or the Itsy Bitsy Spiders / Dead Dogs Walking combo! All dog bandanas are 100% cotton and reversible. They come in a range of five sizes (from XS to XL). 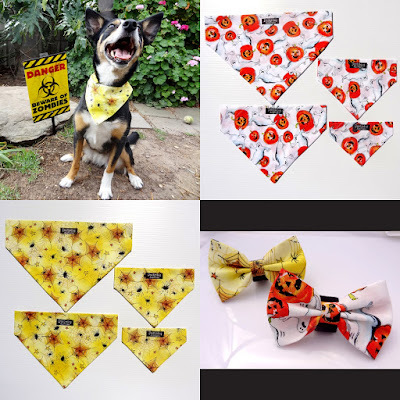 These dog bandanas and bow ties from Dustydog Australia caught our attention with their funky patterns and very reasonable prices. Choose from the Spiders Delight Bandana (Spooky Spiders and a maze of cobweb) or the Crazy Pumpkin Bandana. Both designs also come as bow ties, with an easy to use velcro system to attach to your dog’s collar, leash or harness. Using only 100% cotton fabrics, these accessories are handmade in Victor Harbor (SA). The bandanas will slip over your dog’s collar to be worn at the front, side or back for a different look. 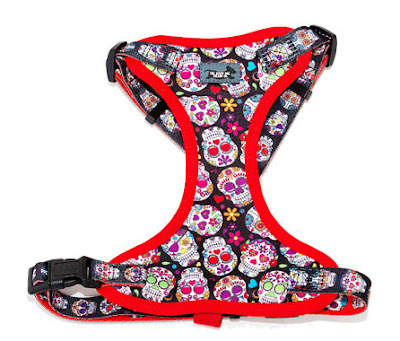 This eye catching hybrid h-harness featuring Sugar Skulls is perfect to celebrate Halloween. Uniquely designed and handmade by The Dizzy Dog Collar Co. (Brisbane), this harness moulds to your dog's chest and is highly adjustable (both at the neck and chest). The front is made from a fade proof fast drying neoprene, backed onto a breathable mesh fabric. Available in 5 sizes with custom sizing options for the neck, girth and back lengths for a perfect fit. If your dog is staying around for the party, this outfit is sure to set tongues wagging and is versatile enough to be used for other occasions. This 'Bad to the Bone' T-Shirt from More than Paws features some essential themes on Halloween night: skull and bones! 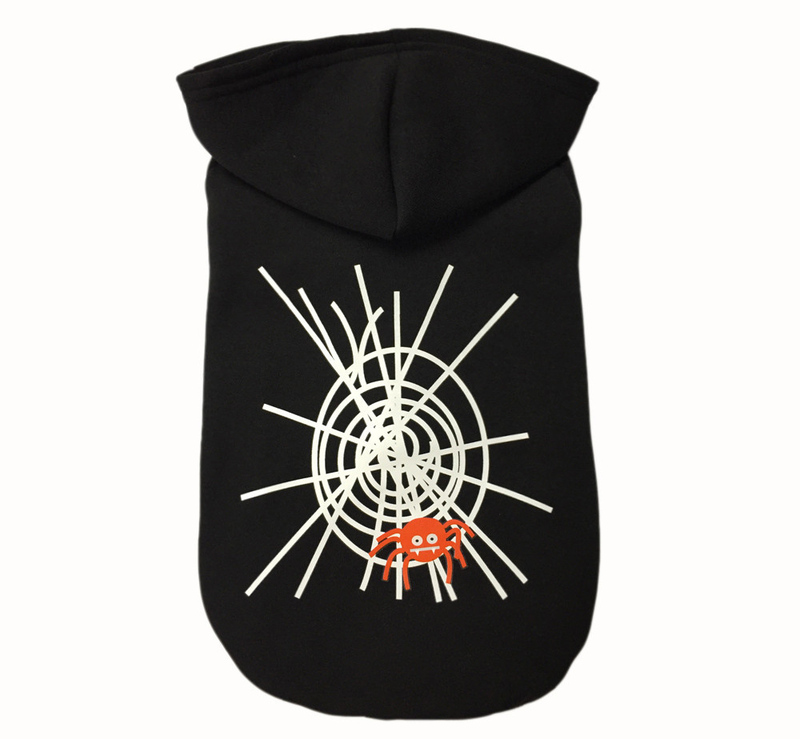 Whether you're into collecting dog costumes, you just like spiders or maybe you want to keep your dog warm, this is the hoodie for your dog on Halloween night! 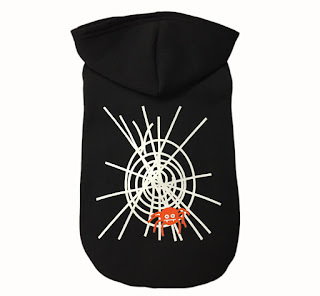 This Hoodie is made of soft fleece with a fun illustration of a "drunk" spider and its web! This sweater features a hoodie, hook and loop belly closure and there's a convenient leash opening on the back. Available in 4 sizes (length from 26cm to 45cm). 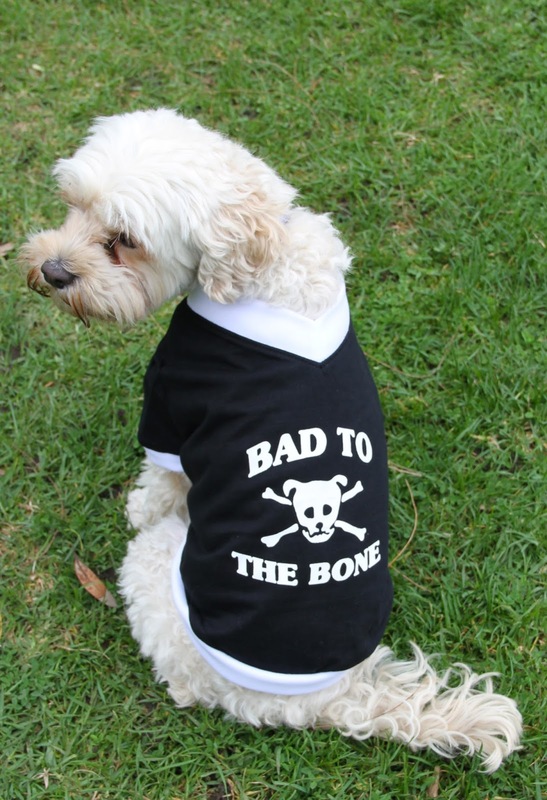 Is your pooch a little naughty? 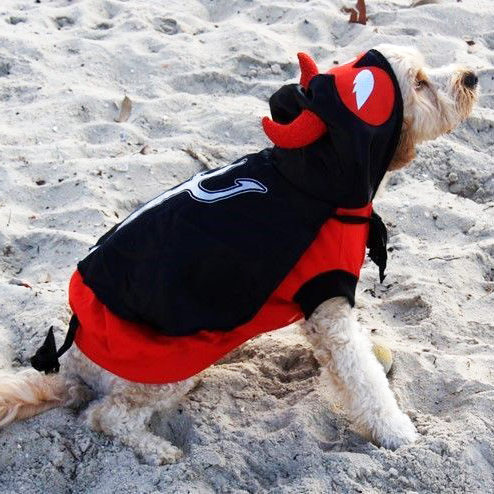 This Little Devil costume featuring a black satin cape with a white and red trim will match his/her personality! It comes with a hood complete with eye mask, sparkly red horns and a cute little tail. 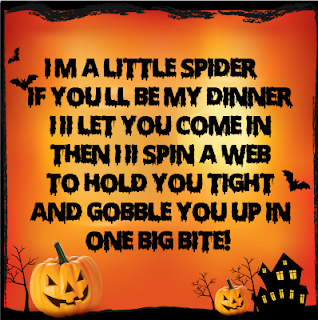 This is the perfect costume for Halloween, dress ups or just for fun! Available in 6 sizes to suit Chihuahuas up to large Staffies, small German Shepherds. 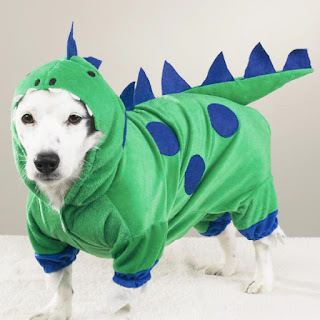 Made from green stretch jersey, this costumes comes with padded tail, felt spots, spikes and teeth! 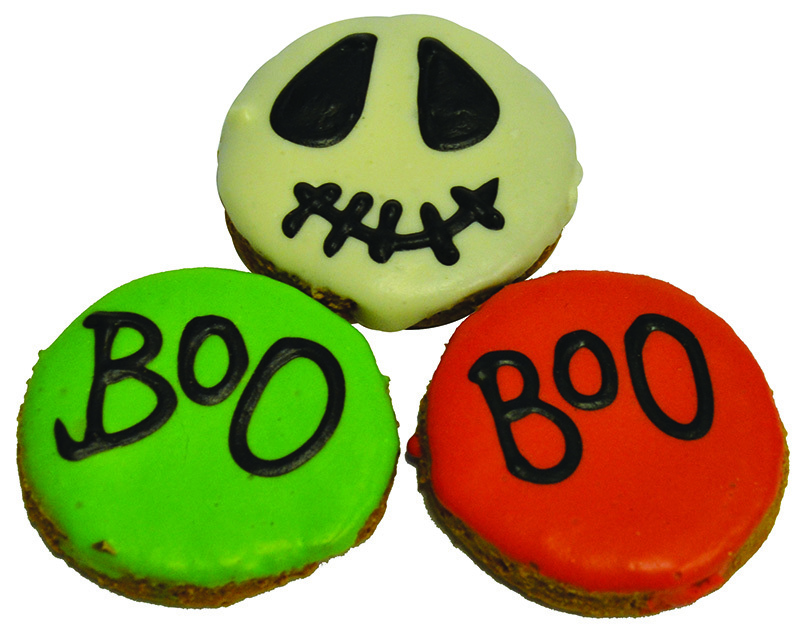 Your dogs can also celebrate the spooky Halloween festive season with some Creepy Cookies from Huds and Toke. Made in Australia, these unique products are handmade and designed specifically for animals. These crunchy pet treats are made with a base of peanut butter and other delicious ingredients. 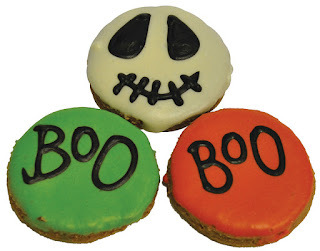 They are low in fat, have no added sugar and are guaranteed to have a no melt frosting. Best suited to small to medium sized dogs. 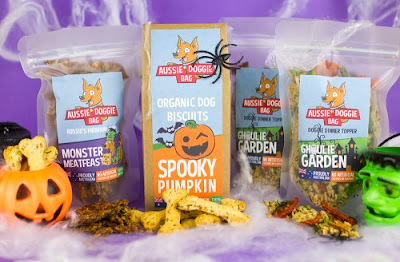 Aussie Doggie Bag have created these spooky limited edition boxes of Halloween organic dog treats. Included is a pack of Spooky Pumpkin dog biscuits, your choice of one of their Monster Meat Feasts creations: free range chicken based jerky / Kangaroo or grass fed beef base / Kangaroo. Halloween would not be complete without a horrifyingly good Ghoulie Garden dinner topper (packed with vegetables). 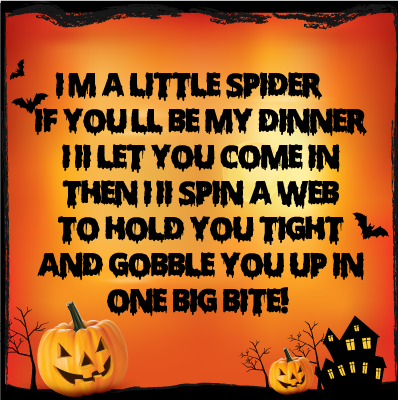 Who said celebrating Halloween could not be healthy? If you're after something more substantial for your pooch's dinner, why not order some Pumpkin Pie to get them into the festive spirit! However, this Special from Sassy Treats is a little "tricky" as it's actually made with sweet potatoes and not pumpkin! 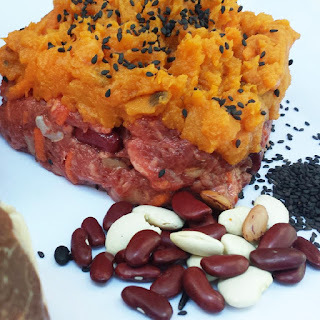 This super healthy meal also includes lean beef, borlotti beans, kidney beans, quinoa, mung dahl, split peas, lentils, fresh carrots and kelp and more!